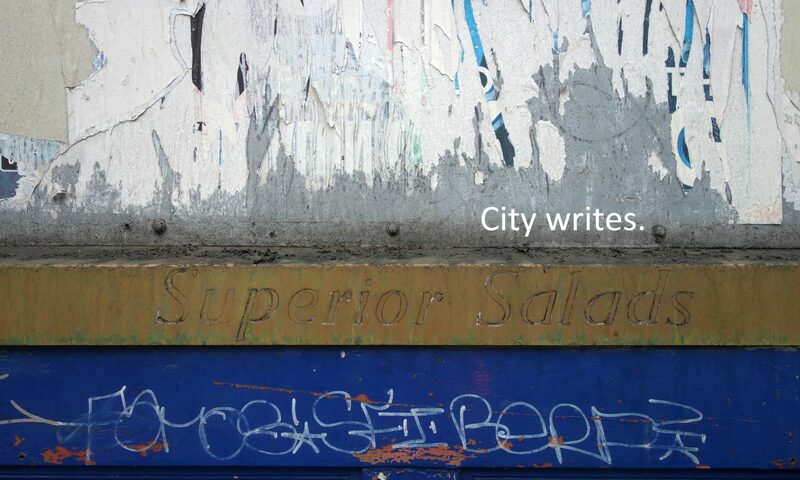 Healthy surfaces need a vigorous, agonistic culture of inscriptions: the presence of multiple surface discourses is a key sign of an open and inclusive city. Participation in the surface discourse can be done in defiance of the law, in conformance with it, or in ignorance of the law, but never outside the law (see lawscape argument in Chapter 4). Defy it, and your actions are criminal. Obey it, and you likely produce either commerce or art, of the non-responsive, dominating kind. These products are of course likely to score high on aesthetic appeal, as they usually benefit from considerable design and production resources, they are bigger, and they get seen, photographed and disseminated more. From a purely aesthetic standpoint, one could argue that murals add colour, they beautify, they make drab surfaces more attractive and so on – but they also dominate, exclude and impose a specific type of surfacescape. Colour and beauty are not intrinsically valuable for cities, but what is important is the freedom to refuse and confuse them, to participate and to maintain an active surface politics. There is no such thing as ‘everybody’ liking something, or ‘the general public’ finding a figurative mural more appealing than a tag mash-up. Consensus is an illusion, and imposing an exclusive, aesthetically-justified wall discourse is a dangerous path. What cities need is engagement, controversy and dialogue, not ‘beautiful’, artist-designed and corporate-sponsored art. Sure, we can have that, too, but we must be extra vigilant around it, like with all discourses which claim to be natural, consensual improvements. Surface ‘crime’ is less resourced than ‘art’, and it is more straightforward, resilient and dynamic, as it must reinvent itself all the time to survive and maintain a presence on controlled surface environments. Crime may also be beautiful, and it often is, but politics will always outsmart aesthetics at the surface occupation game.